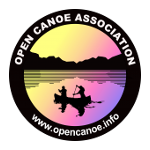 For 2015 the OCA Canoefest is heading to North Wales! Date: 1st – 4th May Venue: Dolben Hall (near St Asaph) + Lynn Brenig Afon Conwy / Aber Conwy Canolfan Tryweryn Lynn Tegid (Bala) Afon Dyfrdwy (Llangollen / Chester) More! Further details (programme, costs, booking information) to follow!